Your ranged sneak attacks deal 2.5x normal damage. All pistols now have 30% more range and more accuracy when sighted. Critical Hits now only consume 55% of your critical meter. Sprint 20% faster at increased AP cost when your health is below 50%. Avoid 30% of incoming damage at the cost of 30 Action Points per hit. All drinks quench thirst by an additional 75%. You have a 50% chance to keep your Stimpak when you revive another player. Players you revive come back with high health regen for 60 seconds. Your shotguns gain a 15% stagger chance and a 30% chance to cripple a limb. Rigorous combat training means automatic rifles do +20% damage. Your one-handed melee weapons now do +20% damage. Your non-explosive heavy guns now do +20% damage. Gain +1 lockpicking skill, and the lockpicking 'sweet spot' is 10% larger. Your non-automatic rifles now do +20% damage. Stimpaks and RadAway will now work much more quickly. See a throwing arc when tossing thrown weapons, and they fly 50% further. Take 45% less damage from explosions and flame attacks. You can repair armor and Power Armor to 200% of normal maximum condition. 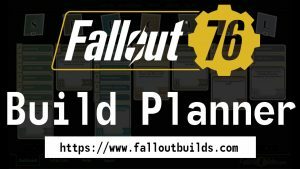 In our Fallout 76 Perk Card Database you can browse all (known) Perk Cards that are available in Fallout 76. What are perk cards in Fallout 76? Perk cards are your skills in Fallout 76. Every available card in the game belongs to one of the seven S.P.E.C.I.A.L. attributes (Strength, Perception, Endurance, Charisma, Intelligence, Agility and Luck) and provides you with a matching skill. The perk card Can Do! (Luck) e.g. gives you a higher chance to find an extra canned good when you search a food container and with the perk card Marathoner (Agility) sprinting consumes fewer Action Points. How do I get perk cards? There are different ways to get perk cards. With each level up (up to level 50) you can spend a S.P.E.C.I.A.L. point AND choose a new perk card. Every other level (between level 4 and 10) you additionally get a perk card pack. Each pack contains four random perk cards, a gum and a joke. Starting at level 10 you get a pack every fifth level. Good to know: Bethesda has confirmed that you can get perk card packs solely by leveling (and not by microtransaction). How do I use perk cards in Fallout 76? How many or which perk card you can use in your build depends on how many points you’ve distributed in the S.P.E.C.I.A.L. attributes because using perk cards in your build costs points. How many points you need for a card is shown in the top left corner of the card. This limits how many perk cards you can use in one attribute. Maybe you spent three points in Agility – then you could use e.g. the card Goat Legs on Rank 2 (costs 2 points) and the card Marathoner on Rank 1 (costs 1 point). Good to know: Whereas you can’t change your S.P.E.C.I.A.L points distribution, you can switch perk cards anytime. This can be necessary e.g. when you got a new perk card that fits your build better or you want to change your play style (for example when you’re not playing solo anymore but joined a group). Not every perk card you got can be used immediately. Some of them have a level requirement. E.g. Good Doggy can be used when you reached level 8. How can I rank up perk cards? Many of the perk cards in Fallout 76 have several ranks and are getting more powerful accordingly. You can rank up these cards by joining duplicates. But not only the power, the costs are increasing, too, when you decide to join two cards. E.g. the card Gladiator requires 1 point in Strength on Rank 1. On Rank 2 you need 2 points and on Rankd 3 finally 3 points you need to spend in Strength. When you’re playing in a group, it’s possible to share perk cards with your fellow group members so that all can benefit from the bonuses. But it’s necessary that you have invested at least three times as much points in Charimas than the card is costing.